Today, the dominant mass of social science research is based upon interviews and questionnaires. We lament this overdependence upon a single, fallible method. Interviews and questionnaires intrude as a foreign element into the social setting they would describe, they create as well as measure attitudes, they elicit atypical roles and responses, they are limited to those who are accessible and will co-operate, and the responses obtained are produced in part by dimensions of individual differences irrelevant to the topic at hand…. This [work] directs attention to social science research data not obtained by interview and questionnaire. Some may think this exclusion does not leave much. It does. 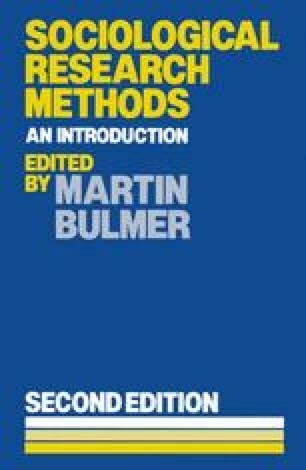 Many innovations in research method are to be found scattered throughout the social science literature. Their use, however, is unsystematic, their importance understated (Webb  p. 1).